According to the Antioch Herald article, Dusty Baker made an appearance and visited with fans and signed autographs along with former Major League Baseball players Mike Felder and Mike Norris, who also signed autographs. At the event Dusty Baker also spoke with the Game Changers Little League baseball team. 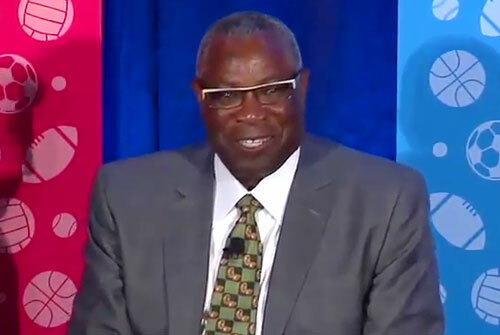 Dusty Baker played for 19 years with the Atlanta Braves from 1968 to 1975, the Los Angeles Dodgers from 1976 to 1983, the San Francisco Giants in 1984 and the Oakland Athletics from 1985 to 1986. Baker helped the Dodgers win pennants in 1977 and 1978 and a World Series Championship in 1981. Baker then began a coaching career which started as a first base coach for the San Francisco Giants in 1988, and then four years as the hitting coach from 1989 to 1992. Baker became the manager for the Giants from 1993 to 2002. Following that, Baker managed the Chicago Cubs from 2003 to 2006, the Cincinnati Reds from 2008 to 2013, and currently the Washington Nationals in 2016. He is a two-time All-Star for 1981 and 1982 and a World Series champion in 1981. Sports Speakers 360 is a booking agent for pro athletes. If you would like to book Dusty Baker for a speaking engagement, appearance or endorsement, contact a Dusty Baker booking agent for fees at 1.855.303.5450.